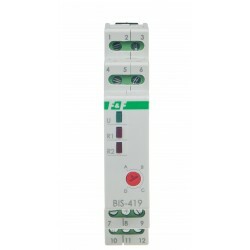 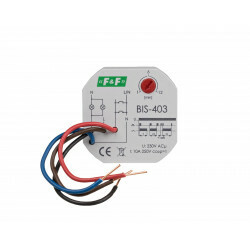 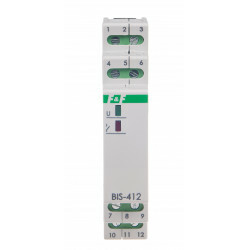 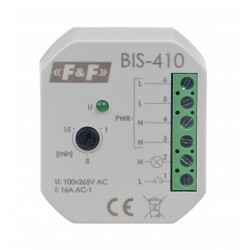 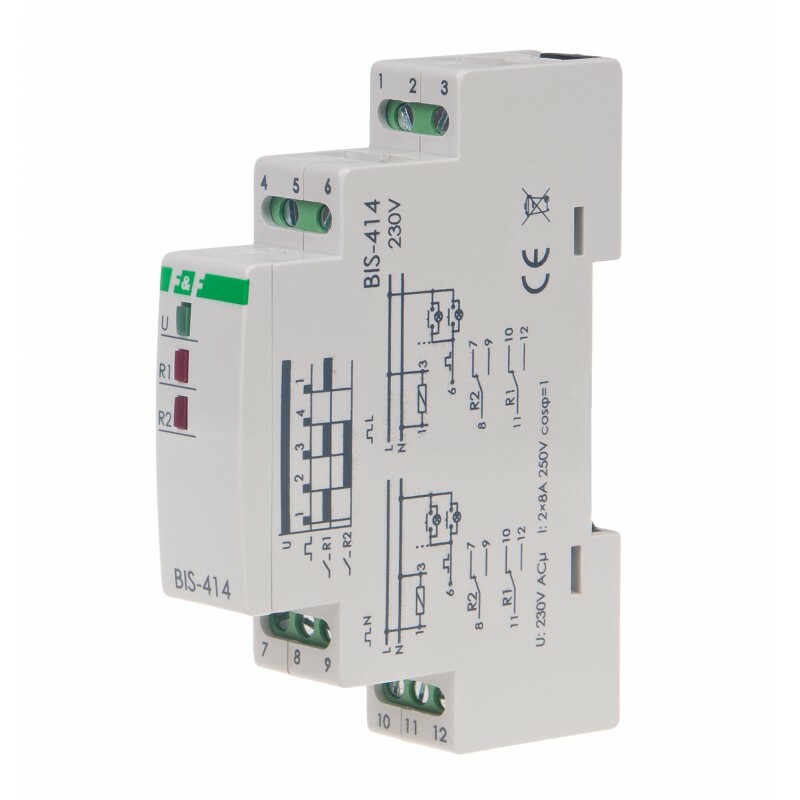 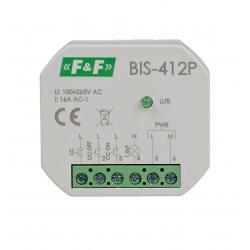 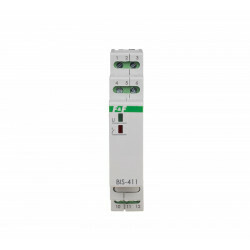 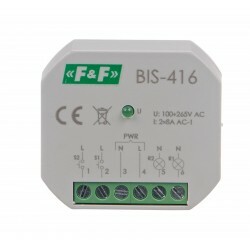 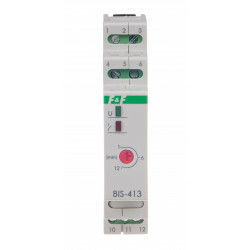 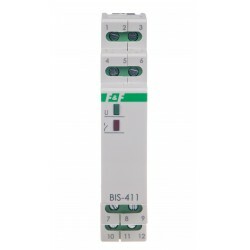 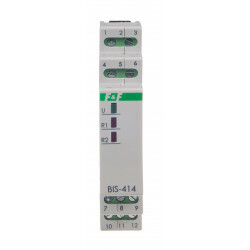 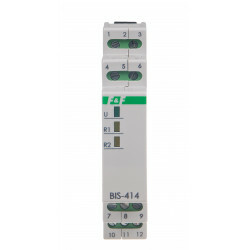 Electronic bi-stable pulse relays BIS-414 230 V enables the user to actuate lighting or other devices from various locations by means of control buttons in parallel connection. 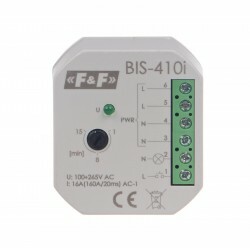 Single function. 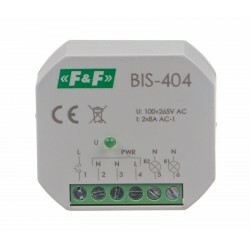 Power supply 230 V AC. 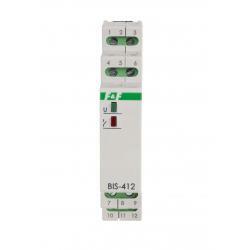 Maximum load 2 x16 A. On TH-35 mm rail. 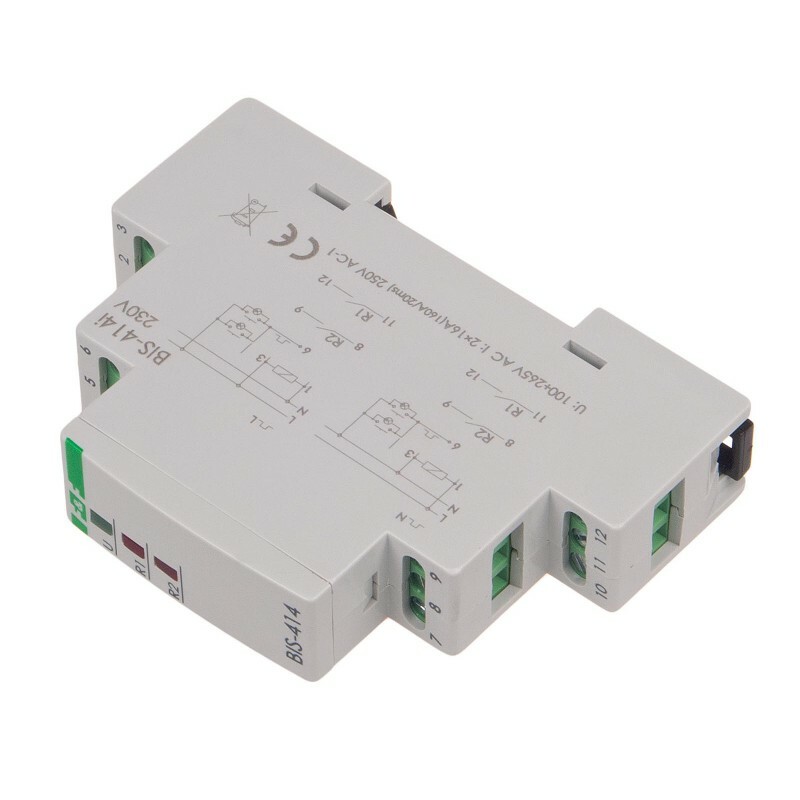 Can be used with backlit buttons.